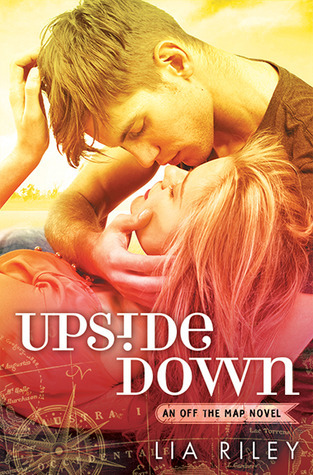 This post is part of the Book Blitz for Upside Down by Lia Riley, organised by Xpresso Book Tours. It sounds like a sweet hot romance set in Australia and it's a first in a series of three books. “Never have I ever worn handcuffs,” I say. Bran reaches over, yanks the lid off the water bottle and takes a sip. “Really?” My stomach lurches at the idea of another girl within five feet of him. I giggle but he looks dead serious. “Wow, that must make you alone in the universe.” I take a drink. “This is the single most depressing fact I’ve ever heard.” He drinks. Traffic starts moving. I hang my hand out the window and hot wind blows through my fingers. “Oh, right.” I shake my head and regroup. “Is it true you have no regrets, not even one?” Hopefully he has no idea how serious I am about his response. There is a Blitz-wide giveaway with the following Prizes - 25$ Amazon Gift Card + Swag pack. It's open for entrants in US/Canada only.